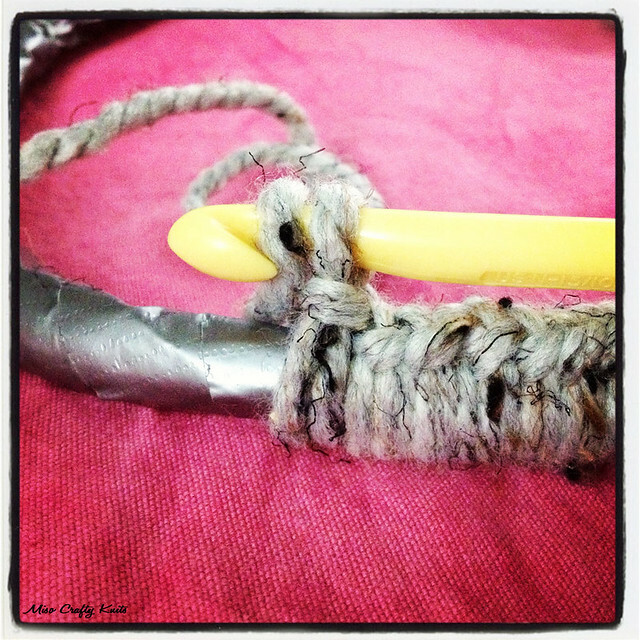 Miso Crafty Knits: Crochet, Why Can't We Be Friends? Crochet, Why Can't We Be Friends? I swear, these really are for the cowl! 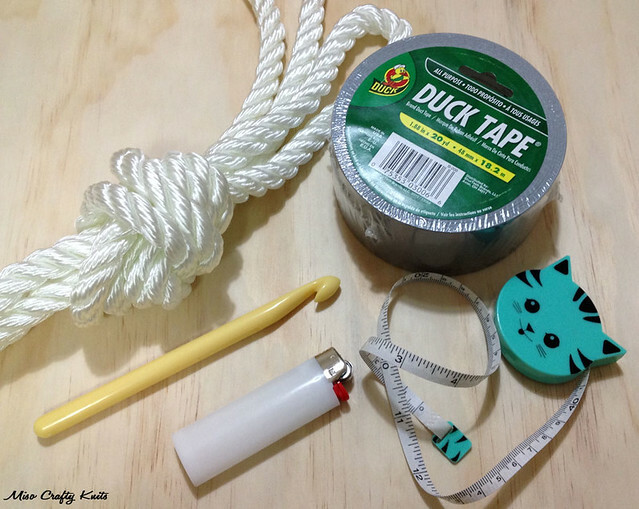 This is the part where you have to crochet around duct tape covered rope before attaching the second round of covered rope to create the cowl. Sounds simple enough, right? Ugh. Not for the crochet impaired! But I'm determined to get through this. Although, forewarning...this project might take me longer than anticipated! Luckily I don't have major holiday knitting to do so I'm able to concentrate a little more on selfish knitting. That is, when I get other knitting obligations out of the way. I think I have at least 6 or 7 so-called "small" projects on the needles and about 2 sweaters at the halfway mark. We won't even talk about the ideas that have been swimming around this ol' noggin of mine that are just dying to be transformed into knitted items either! 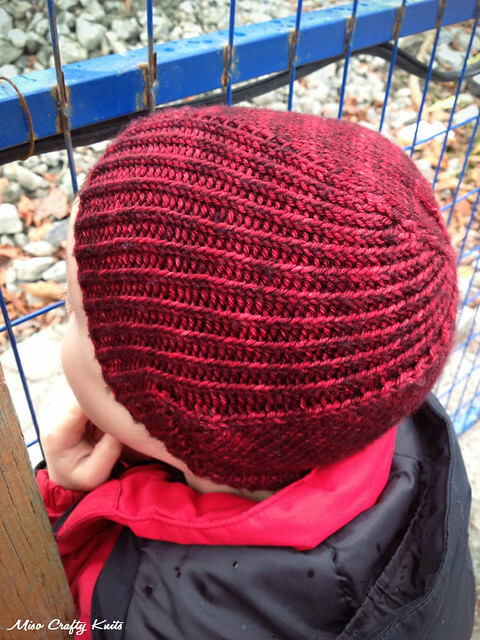 But hey, amongst all these WIPs I want to point out that I have finished something: a new hat for the Munchkin! Totally a sneaky Mommy move! But hey, I needed proof that I actually did knit and finish a project! Please don't tell me that some of you crafty mamas out there haven't done something like this to get a photo of an FO! Anyhoo, the afternoon is still relatively young and I've got swatches that need to be knit up before I have to pick the Munchkin up from school! But before I go, tell me, who else has seen Catching Fire and caught sight of all the amazing knits that were being worn?? Haha Chantel! Thanks for the support! This crochet is seriously killing me here! :p I hope you enjoy the movie! Let me know what you think of it!! I saw Catching Fire last week and could not get over all the beautiful knits! I love when movies are set during the winter; so many knits to look at!